No matter how well I take care of my skin, there is always something that disrupts my once in a blue moon perfect skin. Whether it's dry hands or feet, scars from accidental cuts and burns, or sunburn, I'm always on the lookout for products or home remedies to cure these skin problems. Especially during travels, one-day hiking excursions, even day-to-day activities, where packing is at its minimal and sometimes you never know what will happen until it hits you, like getting sunburn or dry feet. Quick solutions can calm the problem but sometimes that's never enough. Green Goo is your 100% all natural remedy. Learn more about Green Goo below and receive 10% off your entire order over at Fresh Glow with a discount code! 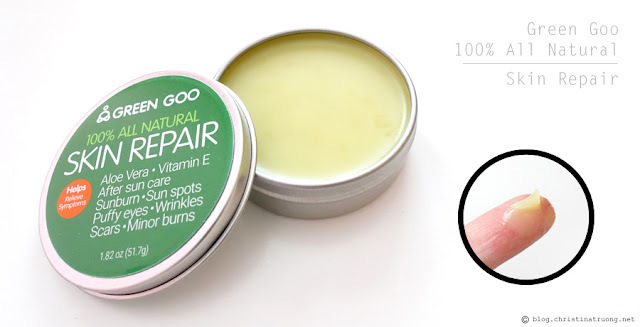 I love Green Goo not only because they are a 100% all natural ointment, it's also a women-owned and family operated business and their packaging comes in different sizes to fit your lifestyle needs. 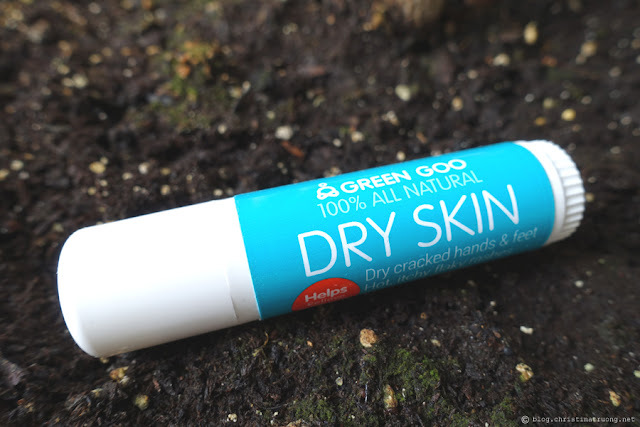 So whether you're out on an adventure and want to carry a travel size stick or in constant need of moisturizer and want a large jar sitting on your nightstand, there's something for everyone. 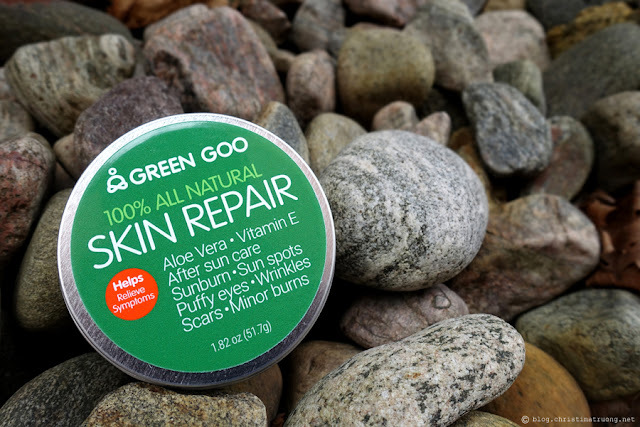 Green Goo's Skin Repair is basically food for your skin. The nutrient rich blend of Aloe Vera and Vitamin E oils nourish and improve skin's appearance.Their formula helps reduce inflammation and pain due to over-exposure from the sun or other minor burns. Its Aloe-based formula is a soothing after-sun salve. Skin Repair can be used as a daily moisturizer, a night eye cream to help relieve wrinkles, puffy eyes and dark circles, new and old scars, minor burns, sunburns, sunspots, and after-sun care. I used Skin Repair on a scar I had on my knee and within a few weeks of application, the scar faded away. As well, I applied it to my hands every night before bed and in the morning, it always feels well moisturized. I also gave it a try on my puffy eyes but hadn't noticed any drastic changes, maybe over time, there will be a difference. Green Goo's Dry Skin has a high concentration of Calendula flowers plus five other actively healing herbs provide natural head-to-toe relief. This homeopathic herbal infusion helps to alleviate symptoms associated with chronic skin conditions like eczema and psoriasis as well as dry red bumps, cracked hands & feet and windburn. Suggested uses include: cracked hands and feet, dry face, knees, and elbows, eczema, psoriasis, and rashes. 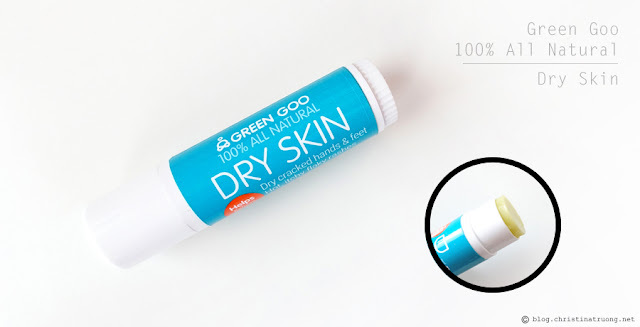 I tried the Green Goo Dry Skin on a dry itchy spot that was on my arm as well as a minor skin crack on my finger. I liked how it calm down the itch and smooth down the crack. After applying the product regularly, my dry itchy patch on my arm eventually went back to normal. And the skin crack also healed back and smoothen the skin. I'm a fan of the stick packaging as it's great to bring and apply while on-the-go. There's no need to dip your fingers into the product. Super convenience, simply open the cap, twist, and apply the product to the troubled area. The tins are also great to pack on-the-go as they are compact enough to fit inside a bag or even in pockets. Both Skin Repair and Dry Skin have a balm texture. It doesn't fully absorb into the skin immediately but it also doesn't leave a sticky or thick balm feeling either, in fact, it leaves a smooth finish. Overall, I love how well both products calm and healed my skin. What are your thoughts on Green Goo? 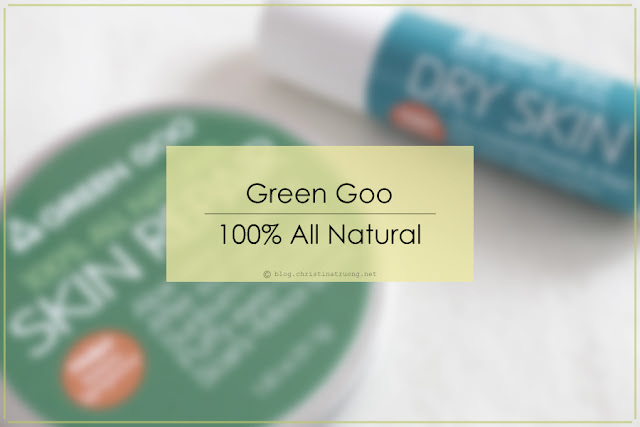 Have you tried Green Goo before? Whether you have tried or want to try Green Goo, Fresh Glow is giving you 10% off your entire order, including brands such as Green Goo, Bio-Oil, Lipidol, and many other health, wellness, beauty products. Head over to freshglow.ca and use coupon code: christina10 at checkout for your 10% off. It's worth checking out - all their products are 100% natural! I too get sunburn easily and as much as I don't want to get sunburn, I'm well prepared and looking forward to applying the Skin Repair when needed. Ohhh these sound great. I have such cracked skin I think this would really help. I have heard of Green Goo and always to rave reviews. I need to invest in some GOO soon :) I'm constantly washing my hands and they have become so dry especially with this long-er winter weather we are having in Spring!